Thomas “Tom” Joseph Brazelton, 78, formerly of Iowa City, died on April 1, 2019 at Harmony House Health Care in Waterloo, IA. A gathering to celebrate Tom’s life will be held from 5:00 – 7:00 p.m. on Sunday, April 14, 2019 at Lensing Funeral & Cremation Service, Iowa City. Inurnment will be at the Rock Island National Cemetery. In lieu of flowers, memorial donations may be directed toward the Iowa City CommUnity Crisis Services and Food Bank, 1121 S. Gilbert Ct. Iowa City, IA 52240. 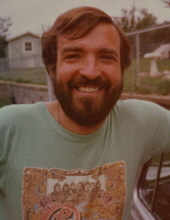 Tom was born on March 8, 1941 in Sioux City, IA, son of Owen and Grace (Bryne) Brazelton. Raised in Sioux City, Tom graduated from Bishop Heelan Catholic High School and continued his education at Kirkwood Community College. In 1963, Tom served his country with the United States Army. He enlisted in 1963 and earned a sharpshooter commendation, a medal of good conduct and was honorably discharged in 1965. For years, Tom was a clerk at the Powers Motel and Guest Rooms in Iowa City. Tom enjoyed music, he played guitar and was in a band. He loved literature, specifically science-fiction and history; he also liked to listen to old radio shows and watching airplanes at the airport. Tom is survived by his loving daughter, Amy McGlumphry of North Liberty; his sister, Connie (Russell) Beavan of Lake Tomahawk, WI; his brother, Daniel (Beverly) Brazelton of Portland, OR; his nieces, Jennifer and Monica; his two great-nieces and special family friend, Sue Chase. He is also survived by numerous extended family and friends. Tom was preceded in death by his parents, Owen and Grace Brazelton, and his sister, Mary Brazelton. To send flowers or a remembrance gift to the family of Thomas "Tom" J. Brazelton, please visit our Tribute Store. "Email Address" would like to share the life celebration of Thomas "Tom" J. Brazelton. Click on the "link" to go to share a favorite memory or leave a condolence message for the family.